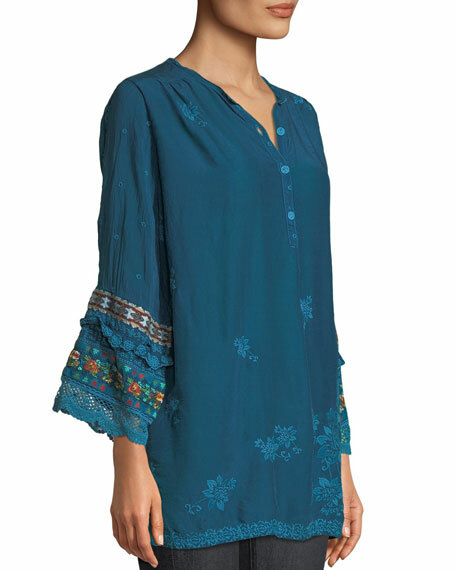 Johnny Was "Fayan" tunic in sheer georgette with tonal embroidery and patchwork sleeves. Round neckline; partial button front. Long sleeves with scalloped edges. 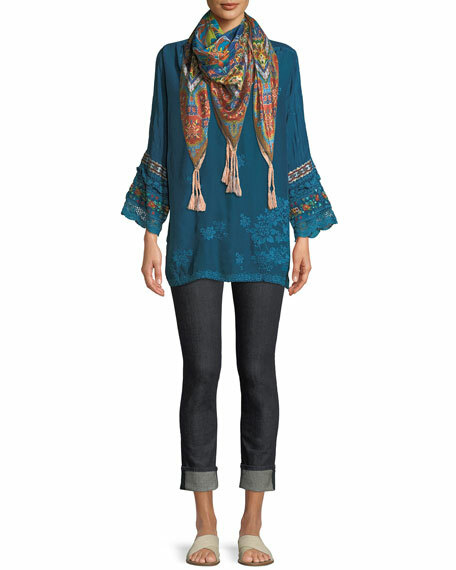 For in-store inquiries, use sku #2673360.